Persian Ertebat Ethernet Over E1 Converters. Ethernet Over E1 TDM Networks Converters Widely are used in World Telecom Networks.In Iran Thosendes Likns of Persian Ertebat Converters are used in Telecom and Non-Telecom Networkes.we have Professional Technical Team For This Products.Our Products have wide Range and Compatible with Customers Projects and we update Them Always by Lastest Updates in Hardwares and Softwares.Our Products Cpacity Begin From 1*FE Over 1*E1 To GE Over STM-4 Products.in Follow Pls Check Products Specs Compatible with Your Projects Demands. This System Transports Ethernet Frames Over 1*E1 Interface.Total Bandwidth of System is 2MB/S.This System Also Includes NMS Function By SNMP Software. 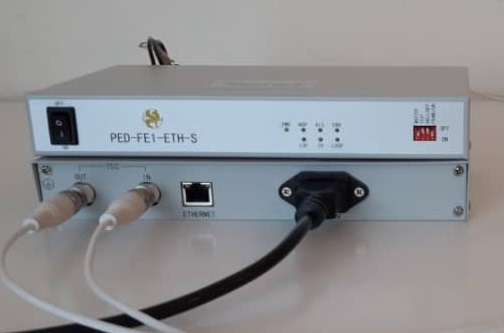 This System Transports 4 Separated Ethernet Services Based on Q-in-Q or 802.1Q Over 4/8/16E1 Channels.Total Bandwidth is About N*2MB/s.System Includes GUI NMS.This Model Also Have 8E1 and 16E1 Models. This System Transports 4 Separated Ethernet Services Based on 802.1q Over 4/8/16 E1 Interfaces.Total Bandwidth is About N*2MB/s.Systems Also Includes SNMP Monitoring Based on IP.This Model Supports 4/8/16E1 Models. This System Transports 4*FE Over 4*E1 And Systems Behavior is Same to Bridge Converter.System is Transparent For Trunk and Accssess Frames.The Total Bandwidth is About 4MB/s.System Also Includes SNMP Function Based on IP. 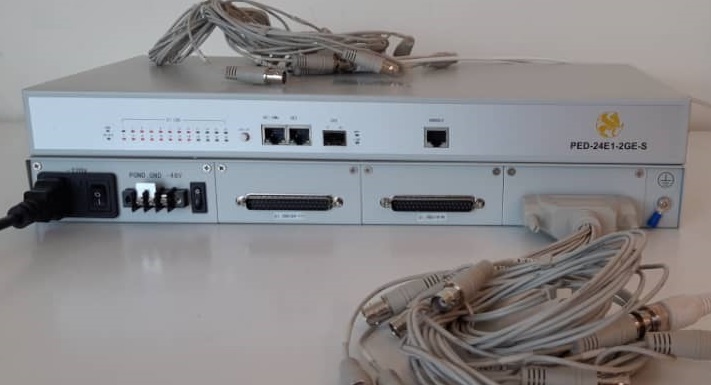 This Systems Transports Ethernet Services Over 16E1 Interfaces in Point to Multi Point Applications.In Remote Side Customer Can use our Other Converters.This system Also Supports WEB NMS based on IP.System can Works in Point to Point Application Like Before Converters.in This Case System Supports Q-in-Q/802.1Q/Bridge Mode(No Vlan) Modes And Total Bandwidth is About 32MB/s. This System Transports GE Frames Over 24*E1 interfaces in Point to MultiPoint Applications.In Remote Side Customer Can use Our Other Converters.This Syustem Supports Powerfull SNMP Monitoring Function For Local And Remote Items.System Support 802.1q/Bridge(No Vlan) Modes.System Also Can work In Point to Point Applications Like Before Converters.In This Case Total Bandwidth is About 32MB/s. This System Transports Ethernet Frames Over 1*E1 Interface.Total Bandwidth Of System is 2MB/s.System is Transparent For Trunk and Access Frames Like Bridge Converter.